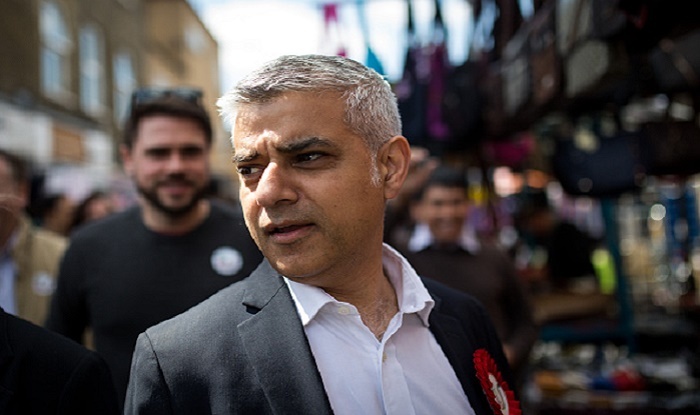 London Mayor Sadiq Khan said Friday that the British capital “will never be intimidated or defeated by terrorism” as hundreds of police officers are on the scene following an explosion at a subway station in west London earlier in the day. The mayor urged people to “remain calm and vigilant” in the wake of the explosion, which occurred at around 8:20 a.m. BST on Friday at Parsons Green subway station. British health services NHS said that 22 people are being treated in four hospitals in the city. Police said that there were no serious and life-threatening injuries, which are mainly flash burns. The blast was caused by the detonation of improvised explosive device, British police said Friday. A white plastic container caused a fire on a packed rush-hour carriage at Parsons Green subway station. A timer was attached to the explosive device, police said. London explosive ordinance disposal team is looking for forensic clues on the scene as nurseries in the neighbourhood were evacuated. The incident created chaos in the area as the subway service was shut down and police stopped people from getting close. The blast took place after three deadly attacks in London this year — Westminster Bridge, London Bridge and Finsbury Park, and one in Manchester at an Ariana Grande concert.